Klass & Gessmann produce excellent quality Beechwood Stand and Hoops. 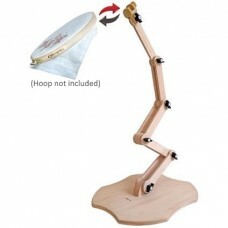 These are the Exchangeable Hoo..
Klass & Gessmann produce excellent quality Beechwood Hoops and Stands. 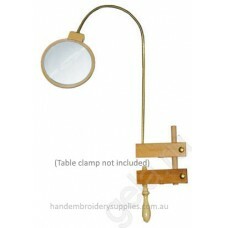 This Floor Stand is sturdy an..
Klass & Gessmann magnifier with double magnification. 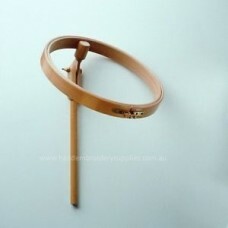 Approximately 10cm (4") diameter with flexible..
Klass & Gessmann produce excellent quality Beechwood Hoops and Stands. 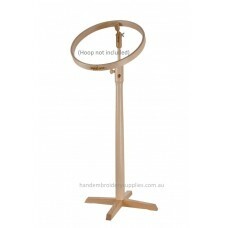 This Sitting Frame is sturdy ..
Klass & Gessmann produce excellent quality Beechwood Hoops, Stands and Clamps. 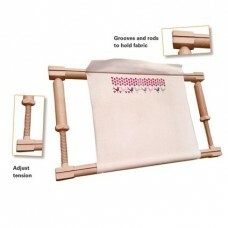 This Table Clamp is s..
Beautiful wooden adjustable tension Embroidery Frames from Nurge. These quality frames have nuts on .. 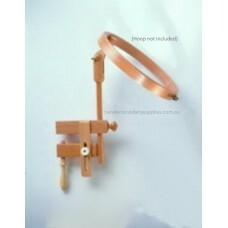 This quality beechwood flexible embroidery floor stand from Nurge features five joints which may be ..
Nurge produce excellent quality Beechwood hoops and stands. 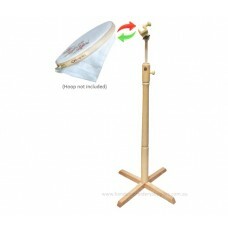 This floor stand leaves both hands free ..
Nurge produce excellent quality Beechwood hoops and stands. Sitting on the paddle while you stitch i..